Jay Z’s "The Story of O.J." music video takes on racist cartoons. 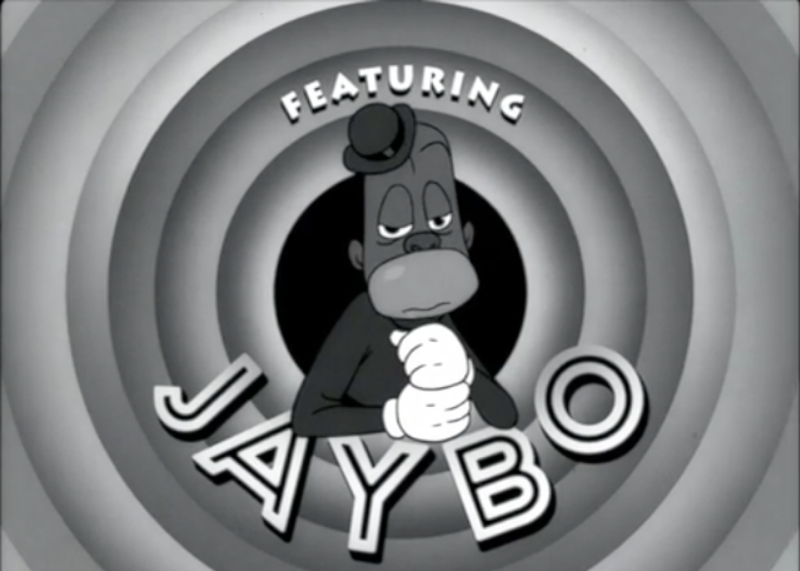 The video for “The Story of O.J.” depicts Jay Z amid imagery inspired by old racist cartoons from Fleischer Studios, Warner Bros., Disney, and others. With her visual album Lemonade, Beyoncé sampled and recontextualized centuries’ worth of imagery of black women. Now, with his new video for “The Story of O.J.,” released shortly after his new album 4:44 early this morning, Mr. Carter is taking on a whole other history of representations of black people. This framing informs the animated “The Story of O.J.” music video—the full version of which is, for now, only available to Tidal subscribers. Update, July 7: The video is now available to all on YouTube. The animated video plays on America’s long history of racist cartoons from Fleischer Studios, Warner Bros., and Disney, among others. In the video, Jay voices the cartoon character Jaybo, whose name is a reference to both the racist Little Black Sambo books and cartoons from the early 20th century and (as the second half of the video, which features Jaybo flying by flapping his ears, makes clear) Dumbo, a Disney movie with its own set of racist caricatures.